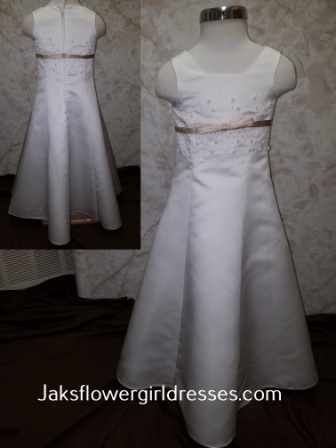 Little girl dresses on sale. 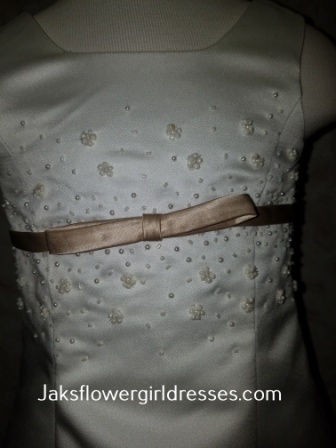 Dresses In Stock and Ready to Ship Now! 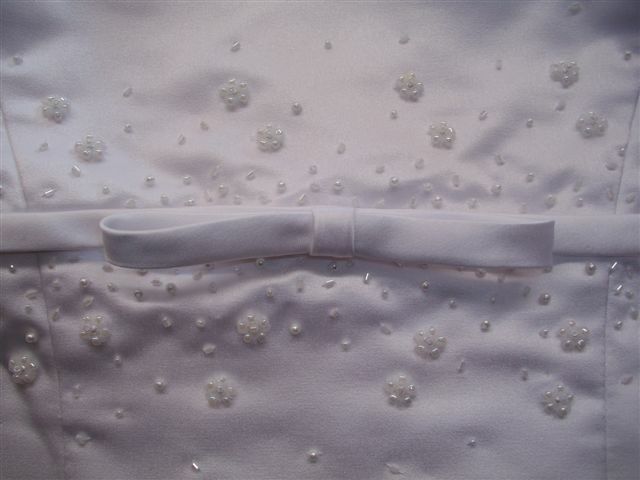 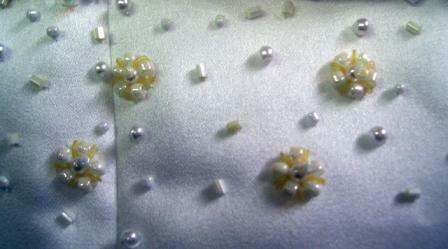 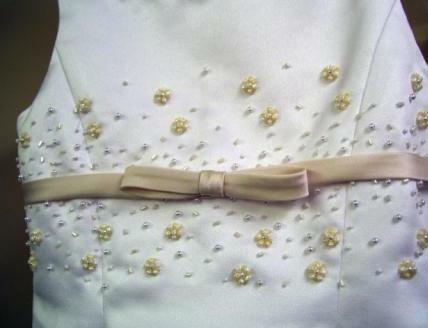 Satin tank bodice with an empire waist, white and champagne beadwork on the bodice is accented with an champagne bow. 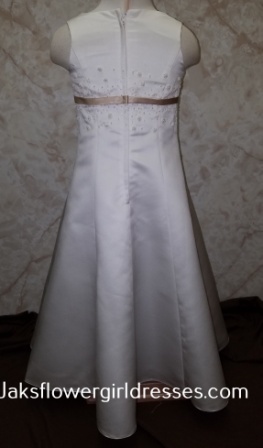 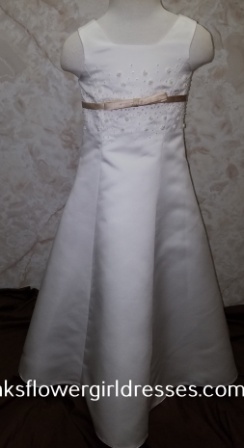 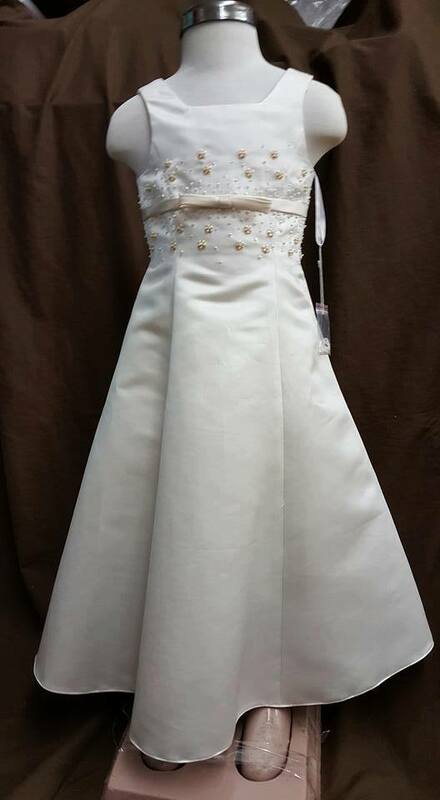 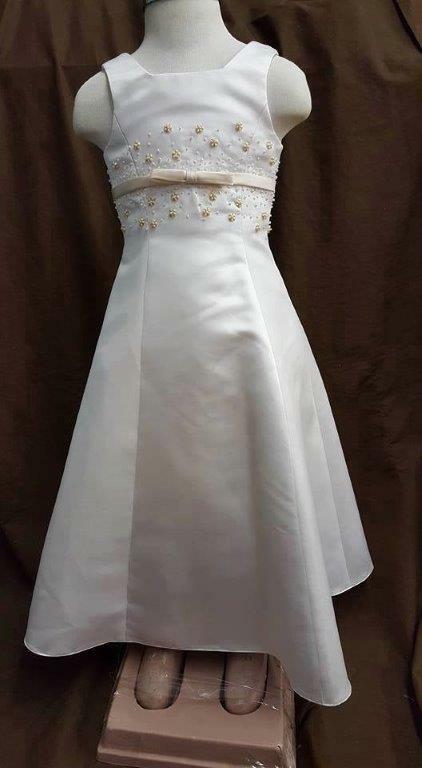 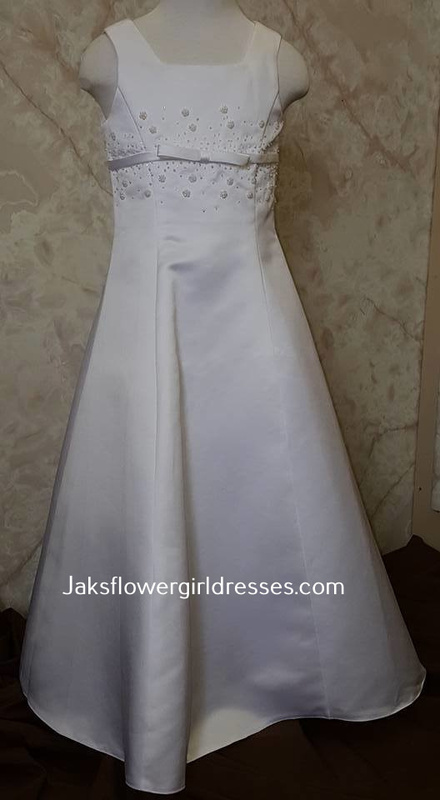 This princess style dress has a built in petticoat and satin slip.